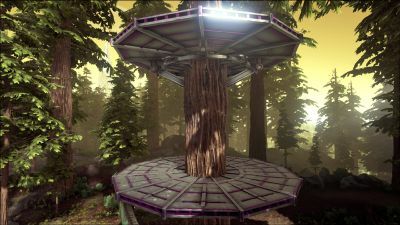 The Metal Tree Platform is used within the Redwood Forest biome, and can only be built on the very large trees that grow there. Structures such as the Stone Wall and Wooden Wall cannot be directly placed onto the Metal Tree Platform. 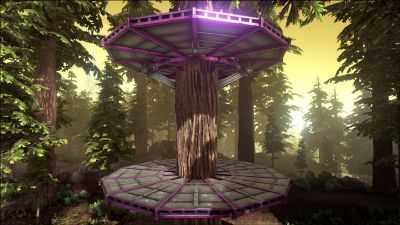 In order to build on the platform you must first place a foundation such as a Stone Foundation or Wooden Foundation, and then you can place other structures on top of it. 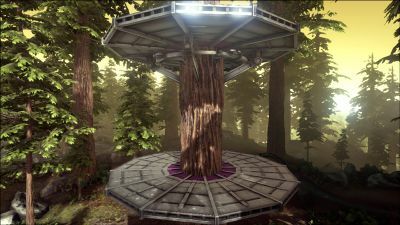 Walls will not snap to the edge of the tree platform; however, placing Fence Foundation will allow walls to be placed at the edge of the platform. 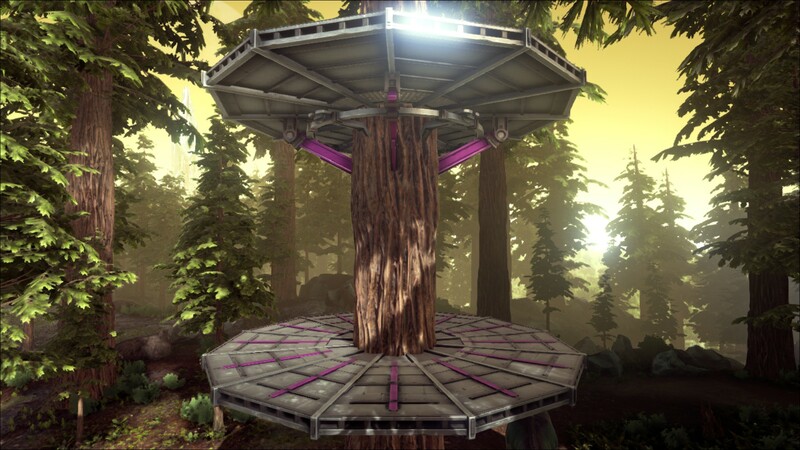 Tree Platforms will snap in two different positions on a Redwood tree. One can use both positions, with the upper platform acting as a ceiling for the lower platform. 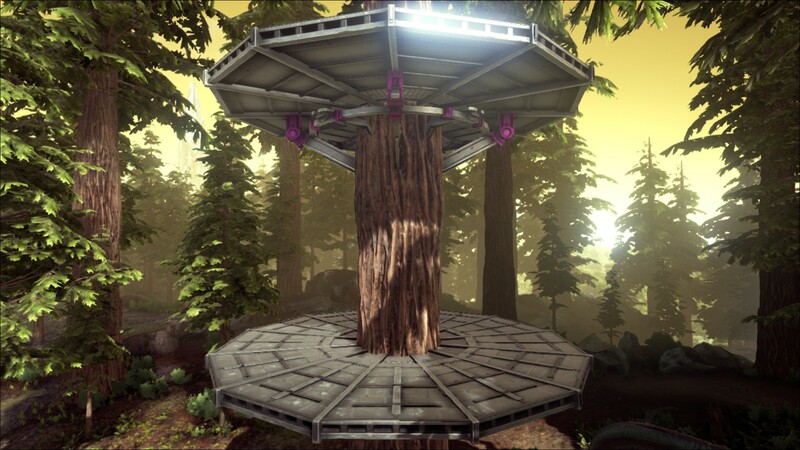 In ARK: Survival Evolved Mobile, Metal Tree Platforms contain snap points. 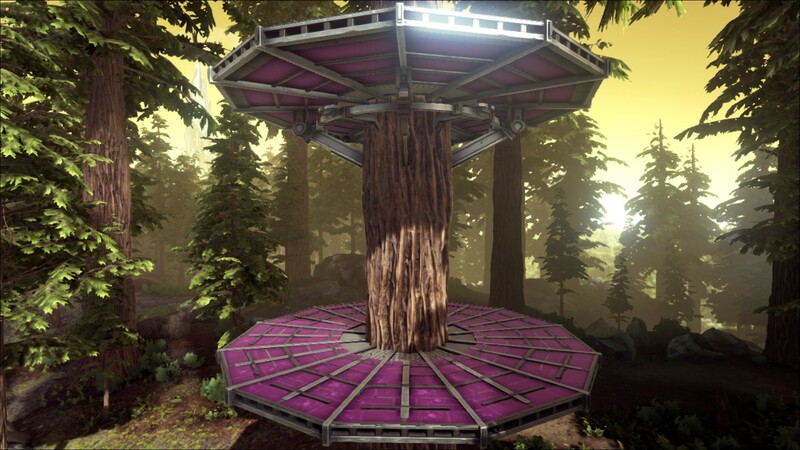 Pillars, Ceilings, Walls, and other structures will snap to the edges of a Metal Tree Platform. This allows for more elaborate builds and creations. It is possible to place crafting structures (Smithies, Forges, etc.) 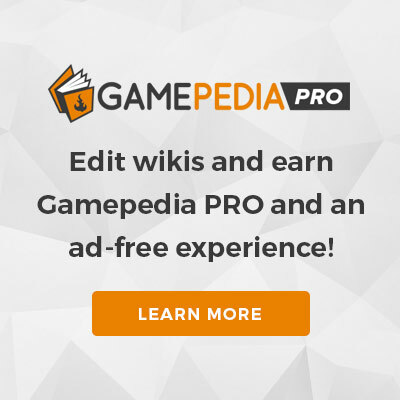 directly on the platform.